All have read about George Washington’s army spending the winter of 1777-1778 at the village of Valley Forge, Pennsylvania. At long last, I got to see the famous place, and get an idea of what our ancestors had to do to survive in that environment. Crossing the Delaware River the day before, and putting-up with the incessant commands from Mrs Garmin, our aptly named GPS unit, we wound our way across Southeastern Pennsylvania to the location just northwest of Philadelphia. The country side is beautiful, and Valley Forge National Park is a natural beauty in itself, showcasing the beautiful, green rolling hills of the rich Pennsylvania countryside. We were transported to the late eighteenth century to a time when my North Carolina ancestors, Jeremiah and Henry, were encamped with George Washington’s army. The film at the Visitor’s Center at the Park told the story of what transpired. Most of the men didn’t have shoes or boots, and many of the approximately 12.000 encamped there were without adequate clothing. Their officers described their state as being virtually naked in the winter elements. Over 2,000 men died that winter of sickness, and most of those were the ones sent to local hospitals to receive medical attention. It was no accident that more men died while under medical care than those who refused medical care. Such was the state of medical science in 1777. All the units built log huts to weather the winter. It was not a particularly hard winter, but it was a wet winter with snow and lots of rain, compounding efforts to bring in food and other supplies. According to the introductory film at the Park, the best equipped soldiers were from Connecticut, where the colonial government was able to collect supplies and money for their care. The worst supplied men were from North Carolina, the colony of my ancestors. The men were cold, hungry, naked to a good extent, and had no shoes. Their guns were not adequate, and their food was touch and go all winter. As spring came to Pennsylvania, George Washington started training the army with a newly arrived professional Prussian soldier, Friedrich Wilhelm von Steuben. von Steuban taught the men to handle rifles, bayonets, field drills, and general soldiering. With the help of interpreters, he also wrote a training manual. 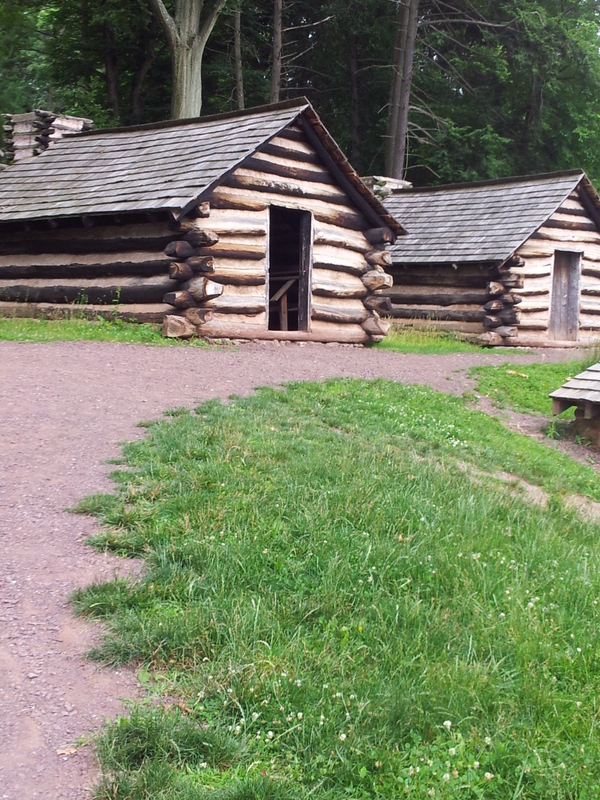 When the soldiers left Valley Forge in the spring, they were a new army. The British army decided to vacate Philadelphia, and Washington pursued them into New Jersey. The Brits were not in a mood to fight, but were moving their army to New York. Washington’s army caught up with the British rear guard close to Monmouth, New Jersey, and attacked. It was a hot and deadly chase. It was also the first time an American army had fought the professional British soldiers toe-to-toe with rifles and bayonets, and did not back down. The British were the ones that left the battle field. 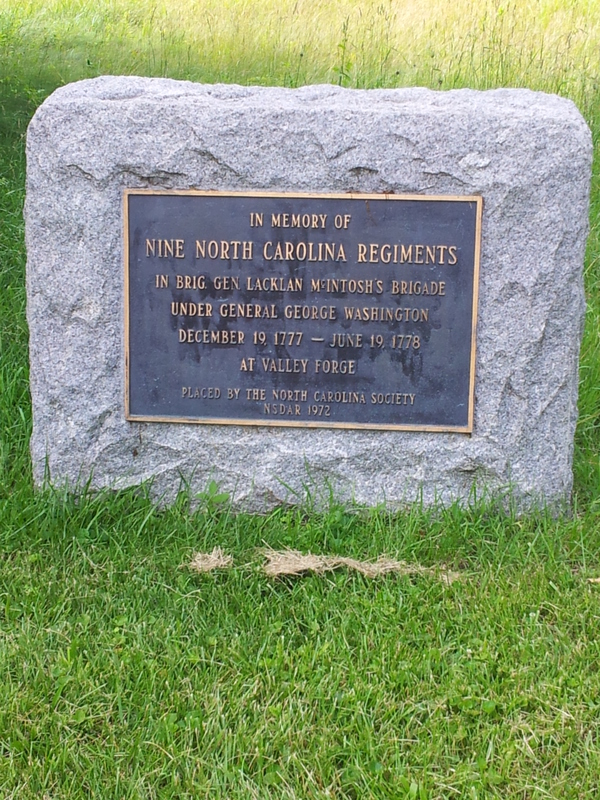 The Battle of Monmouth was a victory for the Americans, and I had two ancestors in that proud army. As we celebrate another anniversary of the founding of our country, we cannot forget what George Washington and his army of men from the American back-woods managed to do. It was by the will and perseverance of those men that we became a country. I pray it is God’s will that we can spread our message of freedom to the world for another 237 years. It was a cold January day when the doorbell rang at our little house on the dead-end of Netherwood Street. My father answered the door, and a lady presented a telegram from the War Department. 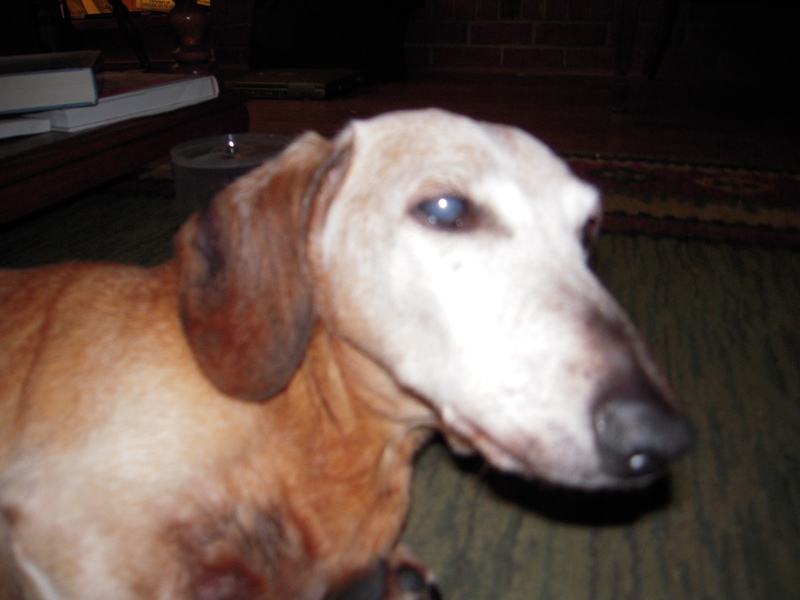 There was anguish in his voice when he alerted mom, “Mother, Jimmy is dead”. 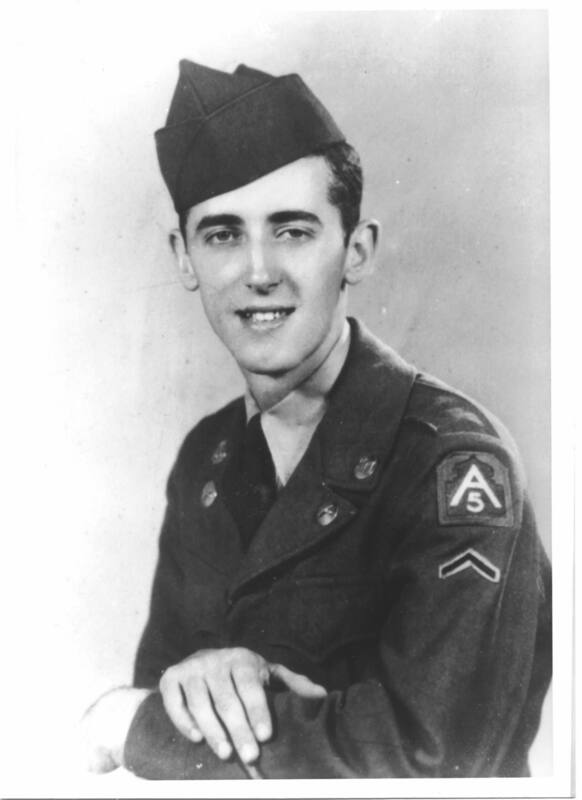 My brother, Jimmy, had been killed on December 24, 1951 in Korea. I remember these things as if it were yesterday. Everyone in the whole house went into screaming fits of crying, with my mother and father retiring to their bedroom with their grief. It was not their first son to die for his country. Their first-born, Charles, had been declared dead after missing in action in the South Pacific during World War II. It was what every soldier’s parents fear the most. Their child will come home, no more. Jimmy was a big guy, standing about six feet, two inches tall. He would come home from school, or delivering newspapers and throw me over his shoulder, rough-housing with me like big brothers do. He was the guy everybody liked, and he sang bass in a gospel quartet. Somewhere in our family keepsakes is a small vinyl record he and a group of soldiers cut while on leave, singing a gospel song titled, “Keep On The Firing Line”. It was appropriate for a singer of Christian songs, and a soldier. While in high school, Jimmy talked our parents into signing for him to join the National Guard in Memphis. This was supposed to keep him out of the war in Korea because the Guard was not expected to be called-up for active duty in that war. The National Guard was federalized, and units from all over the country were used to bolster the fighting units having a hard time in Korea. The Memphis unit was the 196th Field Artillery. It was a battery of 155 millimeter howitzers. Those are the really big guns. At times he would send home pictures, and one set showed a field littered with the bodies of dozens of Chinese soldiers. I don’t know how Jimmy got these pictures past the censors, but we still have them. The 196th had been firing their howitzers for over 24 hours when it happened. Jimmy was the crew leader, and they loaded a defective round. It exploded in the gun’s breech, killing the entire gun crew. Years later as I was graduating from college with my engineering degree, I interviewed with a unit of Sperry-Rand out of Louisiana that had manufactured ammunition for 155 mm howitzers. The interviewer told me that there had been a problem with defective ammunition they had manufactured during the Korean War. If you remember I spoke of two brothers dying while in service to their country. I never knew the brother killed in World War II. He was also much-loved, and it was years before my father stopped going to the train station in Memphis, looking for a son who never returned from the war. I am writing about Jimmy because he is the one I knew. Some people don’t understand why we honor our war dead. In my opinion those who don’t understand this just don’t understand honor. Honor is not something automatically given, it has to be earned. Just living a life and dying does not generate honor in and of itself. Honor is given to those who serve others. It is this service to others we honor, and do so in memory of those who gave their lives in battle for things some people don’t understand. 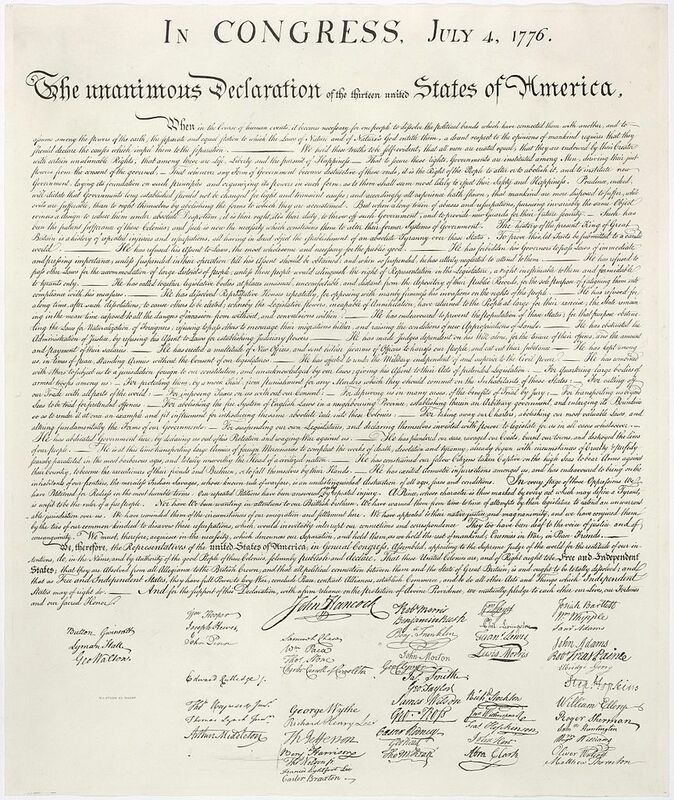 There were three signers of the Declaration of Independence from Georgia. These were George Walton, Lyman Hall, and Button Gwinnett. Button Gwinnett’s signature is at the top of the first column of signatures on the bottom left of the Declaration. His signature is one of the most sought after of all the men who were there. Gwinnett was a leader of the radical faction of the Whigs. The other Whig faction was not as enthusiastic for American independence. Those loyalists who favored British rule were called Tories. Button Gwinnett was killed in a duel by his political enemy, Lachlan McIntosh, in May, 1777. Both men were wounded in the duel, but McIntosh recovered and Gwinnett died three days later. His early demise less than a year after the signing has made his signature very valuable, and it may be worth hundreds of thousands of dollars in today’s market. Gwinnett’s second in the famous duel was my ancestor, George Wells. He was a leader of the radical Whig faction. In early 1780 as president of the executive council, Wells acted as governor when Richard Howley, Governor, and George Walton traveled to Philadelphia as representatives to the Continental Congress. George Wells was killed in a duel on February 15, 1780 by a political enemy, Major James Jackson. The politics in Georgia during the Revolution were dirty and dangerous. The leaders of the radical Whig faction, Gwinnett and Wells, although killed in duels, had a lasting effect on democratic rule in the State of Georgia. At one time, there were three state governments in Georgia. The Tories (Loyalists) convened in Savannah, and the Whigs, of which there were two factions, convened in Augusta. It was a confusing time, and choosing the winning side could be a hazard to your health. Gwinnett County, Georgia was named for Button Gwinnett. It is in the Atlanta metropolitan area, and is one of the fastest growing counties in the nation. I was going to write a Dad’s day blog about my father, and what a great man he really was. Even though he was a poor man, had not finished high school, or even entertained college, he was fairly intelligent. He had actually been a school teacher at one time during the Great Depression. But, now you are stuck with me. Yep, I’m a Dad, and I am proud of it. My two children lived to adulthood, although we lost one when he was twenty-one years old. It was fun to be around him, and others agreed saying that wherever he went there was sunshine, music, and laughter. One day he called from his college saying, “Dad, I had an epiphany. While I was in the bathroom I realized that I am just like you”. Yes, he was a clown, too. Even at that, I was very pleased to hear those words. It was one of those little jokes between father and son. My daughter is one of those musically talented people. She is an artist. She, like my son, went to college on a voice scholarship. Now, she is a music teacher, and has delivered two of the most beautiful children on the face of the earth. It matters not whether they are as talented as my daughter. The idea is for them to be the genuine, loving persons my daughter and son became. With the exception of my wife, my daughter is the most important person in my life. 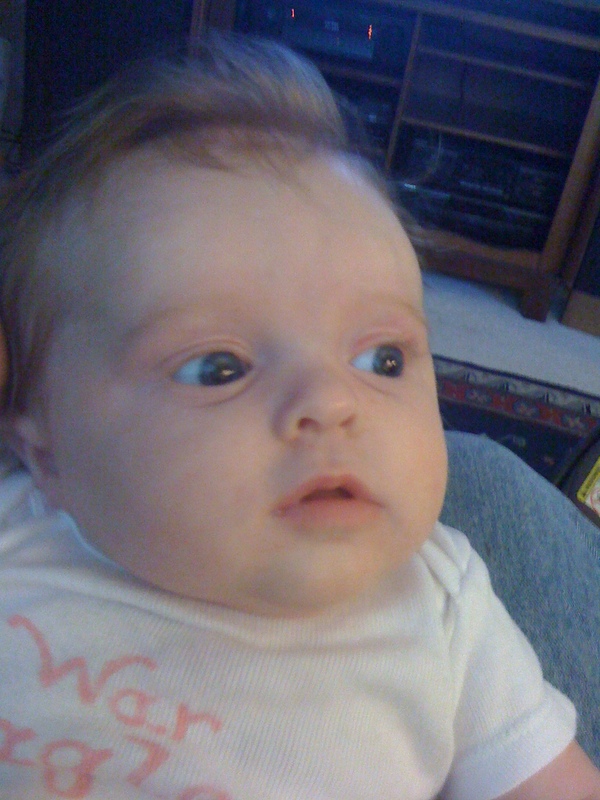 She is always concerned about my health, and promises to be an absolute health tyrant with her old man. She is unrelenting. So, you see that Father’s Day is about not only honoring fathers. On this Father’s Day, I want to honor my children and grandchildren who have made life so meaningful and worth living. Yes, she is. Her name is Georgia, and she is my two-year old grand-daughter. Her second birthday was last week, but her party will be today, the first available weekend. 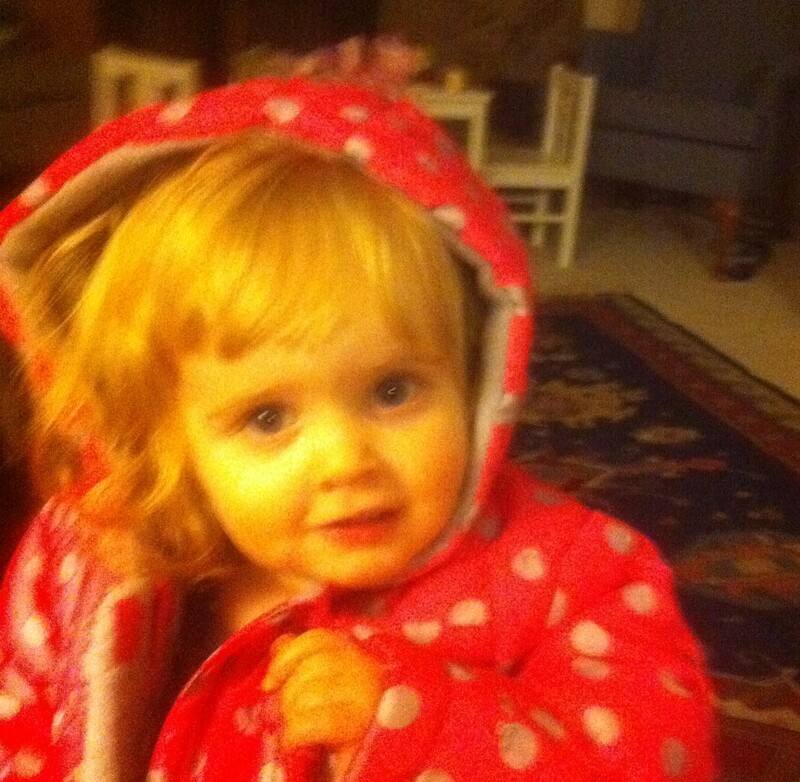 The interesting thing to me is that she looks very much like her mother at that age, and also much like my wife. I can spot signs of my mother’s looks, too. That is one reason why grand-children are so precious. You can see not only yourself in them, but also the looks and mannerisms of other family members. Life is beautiful when they are young. In my opinion there will never be a time when she becomes not-pretty. She will always be beautiful, but, she will mature in her personality, growing physically and mentally every day. Darn it! Someday, she will be a teenager. God forbid! There is a better than even chance that she will be like her mother, who was a beautiful girl, but drove us almost to insanity with her hormones coursing through her veins. As teenagers, girls are terrible specimens of the human race. Thank God Georgia is my grand-child, and I can turn her over to her parents for rearing during those troublesome years. They all start out so sweet you could just crush them when hugging them. Then, they start growing up and slip into those awful teen years when everything you say is wrong, and nothing you say is heeded. Life is not fun during those years. Then, sometime after college and a couple of dozen whacked-out boyfriends, she will grow up and become the person you wanted to raise in the first place. It is interesting that God brings us these tests of faith, knowing that not only will our children challenge our faith, but that those same faithless creatures will return to the values of their upbringing. Life is good, and Georgia is our reward for a job well done. God bless grand-children.